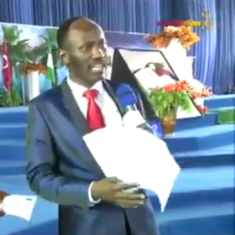 the state, an Edo state based pastor and the Senior Pastor of Omega Fire Ministries (OFM), Apostle Johnson Suleiman, called on the governor to revoke the bill now or die. 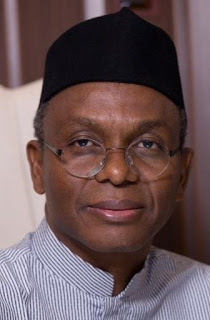 According to Suleiman, El Rufai has no right to regulate the activities of religious leaders when he has not regulated the activities of traditionalist in the state. He said before he, El Rufai, became governor, they were men of God and that they will still remain men of God when he leaves office. *The ministerial committee shall issue licenses to religious bodies. *Without such licenses, you cannot preach. *No external preacher can preach in Kaduna without a permit. one to have a license issued to him or for one to be denied a license. The bill empowers JNI and CAN to keep records of churches and mosques including data of preachers. The law criminalizes the use of religious CDs, flash drive and other communication gadgets except in churches, mosques or other places of worship or personal houses. The implication is that you cannot listen to Christian tapes in your car or at any place except your house and in a church. If you preach without a license, you are guilty of an offence punishable by two years imprisonment. If you hold any Christian gathering even in a church and use loud speaker (microphone) after 8.00 p.m, you are guilty of an offence punishable with two years imprisonment. If you listen to a message in your car, you are guilty of an offence punishable by two years imprisonment. If you hold a crusade or any programme or any other kind of programme and use a loudspeaker at the said programme as long as it is not a church, you are guilty of an offence punishable by two years imprisonment. person must be licensed for the duration of his/ her stay and the body issuing the license has the right to reject the external preacher if it feels he is not qualified to preach in the state.